NBN Co on Thursday reported a doubling of year-on-year revenue to $1.4 billion on the back of ‘solid progress’ on construction and activations during its third quarter ending 31 March. The company said that 6.5 million premises are now ready to connect to the broadband access network, representing an additional 2 million premises compared to the same time last year. A further 7.5 million premises ready for service, NBN said. NBN said it had prioritised several initiatives during the last nine months to enhance end user experience, including optimisation work on the hybrid fibre coaxial (HFC) network, wholesale pricing offers and internal process improvements. The multi-technology mix also enabled NBN Co to scale the network quickly and the company claimed it’s on track to complete 75 per cent of the build by the end of the calendar year. Activations rose to a total of 3.7 million across the network, representing an additional 1.7 million activations compared to the same period last year. Meanwhile, the company claimed that average network congestion decreased from more than 6 hours per week per service in March 2017 to 18 minutes today. Currently, 91 per cent of NBN equipment installations within the company’s control are achieved correctly at the first appointment, NBN claimed. 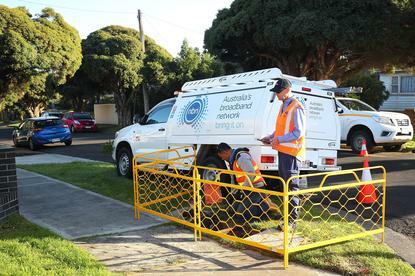 Further, NBN said it was connecting 93 per cent of all standard orders within the timeframes agreed with retail service providers. This compares to 85 per cent of equipment installations completed correctly the first time and 88 per cent of connections within agreed timeframes in March 2017.